Gambling has been around for decades and a gambling addiction for just as long as that. 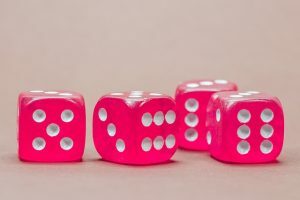 This form of addiction is by no means new, however, the onset of online casinos and other gambling opportunities has brought it to the forefront. Gambling addiction is not easy to identify on a physical level. The effects are more visible when delving into the emotional, and physical state of the addict. Gambling addiction is by no means a problem that has its root in financial problems. The causes run much deeper than that. Many people seek the euphoria, and excitement of the casino environment to reduce stress levels, and relax. Gambling is a billion dollar industry. In Las Vegas USA alone, close on 10 billion dollars are raked in each year. It is extremely easy to find other causes for an addiction. The ease with which one is able to take part is one of them. This is, however, not the case. Gambling addiction is caused by the inability of the individual to control when, and how they gamble, and most importantly when they need to stop. It is most likely that gambling addicts have further, underlying psychological issues, or mental disorders. The existence of a gambling addiction is more prevalent among male participants than female. It is important to bear in mind that a gambling addiction does not mean you are weak. Many known gambling addicts are otherwise successful in the private, and professional lives. It must be remembered that a habit becomes a problem only when the behaviour begins to cause issues in a person’s life. Someone who gambles on a weekly basis, with money left over after the bills are paid, is less likely to form an addictive association with gambling than someone who gambles periodically with money intended for their rent.